SQL Server is a Relational Database Management System that consists of large sized bulk database related to or created by users and managed by administrator(s). Passwords are the greatest element of security that are used on a variety of platforms whether servers, clients, applications, or devices. Similar is the case with SQL Server that stores database password in an MDF file. Therefore, when the password is unavailable to you or you are unable to access Server due to loss of password then you needs to reset lost SQL password immediately. The password is stored by the server in hash value within the master database. 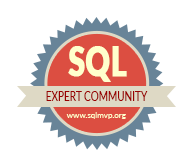 This segment explains how to reset lost password in SQL Server with the possible workarounds. NOTE: In case of SQL Server user password, the lost password can be reset by the server administrator. User can contact the administrator and get their SQL Server password reset via administrator controls and rights over their profile. Go to the Start menu and select All Programs. In the list of applications, choose Microsoft SQL Server 2014 (or the one you are working with). Go to Configuration Tools and select SQL Server Configuration Manager to start. Right click on instance name of the server in the area depicting the details and select Properties. Type in a new password on the dialog box for Properties of the specific account listed under the box named; Account Name. Without having to reboot your server, your new password will automatically be activated. Follow Steps 1 to 3 from the section given above. In the next step, choose Properties, for the account listed in the box, type in your new password, and confirm the same. Click Ok to proceed and finish the process. Recovered SQL Server password will immediately take effect on a standalone SQL Server Instance. There will not be a need to restart the server. However, in case of a clustered instance, you will need to take SQL resource offline and perform a reboot. When the SQL Server Master database is involved in the case of password loss, then there is no possibility to reset it manually. This is because; the file is handled by SQL SA carrying all the information, which includes the user information too. Thus, in such cases, you are not provided the access to the database, which makes a change of password impossible. Usage of a third party application is undoubtedly the most reliable solution that can be implemented. There is a wide variety of password recovery tools available in the online market that can be implemented to use to recover lost SQL password.